Not content with their standard SUVs performance, Lamborghini decided to create the Urus ST-X – developed exclusively for racing. Late in 2019, Lamborghini is expected to launch their new racing formula, an FIA licenced mix of track and off-road racing. With that in mind, a race-bred SUV suddenly makes perfect sense. The Lamborghini Urus ST-X is set to make its debut at the Lamborghini Squadra Corse Super Trofeo World Final shortly. Under that SUV-sized bonnet sits a 640bhp twin-turbo V8 that pumps out 850Nm of torque to all four wheels. And, speaking of which, it rolls on Pirelli's wrapped around single-nut 21-inch alloys. But this is a race car, and an off-roader at that, so it's received a great big roll cage and fire safety system and had 25% of its curb weight sliced away. 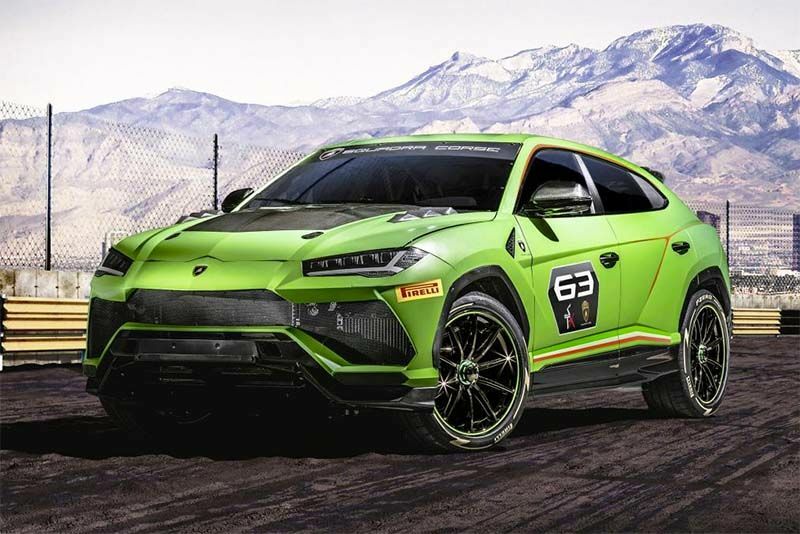 As you can see in the gallery above, Lamborghini has draped the Urus ST-X in a shocking Mantis Green livery, while adding extra touched to distinguish it further from the standard model, like that vented carbon fibre bonnet and radical side-exit exhausts. If you're not in a position to actually purchase one of these racing SUVs but really want to get behind the wheel of one, Lamborghini is planning an “arrive and drive” offer to experience the Urus ST-X at event days at FIA licensed circuits across Europe and the Middle East from 2020.